Put on your Thinking Caps ! 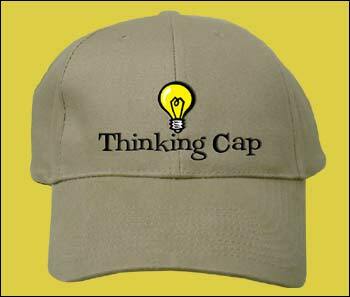 By drbubb, November 1, 2014 in Thoughtful Commentary; "Thinking Caps"
+ We all had a greatly extended lifespan? How are these visions going to come about? Larry Page has shifted his day to day responsibilities at Google to a colleague, and he will now focus on indulging his ambitious urges. Google's original mission was to "organise the world's information and make it universally accessible and useful." And now Page wants to expand on that. He wants to chase the real breakthrough technologies, and thinks (with some real justification) that his success at Google shows that he is highly qualified to pick and develop the future winning technologies. He says that only 50 investors are are chasing the real winners, that will make a real difference in the lives of most people on earth. The big challenge, he says, is not the capital required, but getting (really smart) people to focus in working on these challenges with a high level of ambition. I suppose that after a crash, if Google's cash flow is still intact - which seems likely - people will be even hungrier for jobs, and Page and his Google team will have an ability to pursue these sorts of ideas with less competition and their choice of people. Page reckons that these new technologies will make people 10 times are efficient, and that many people will no longer have to work. He thinks that having people working less efficiently so they can maintain their jobs "can't be the right answer." And he sees a massive deflation ahead, as new efficiencies come into the economy. For example, he thinks that the median house price in Palo Alto, California can be brought down from $1 Million to just $50,000. Though some may seen these sorts of price disruptions as disturbing, Page wants to have the world embrace them. "You can't wish these things from happening, they are going to happen," says Page. "... When we have computers that can do more and more jobs, it's going to change the way we think about work." "... We cannot wish it away." (David Wilcock says here ; at 11-mins in: 37% of the people who want to work are without jobs. Page does realize that there are some big challenges ahead in how we cope with the changes ahead. "How do we organize ourselves? How do we motivate people?" he asks. "It is a really interesting problem... If you look at satisfaction in the US, it's not going up, it's going down." He doesn't think that Europe has the answer, since he sees there weak support for entrepreneurship and technology. And there are challenges within his own company. Can Google really be successful at so many things? Steve Jobs used to tell Page that they were active in too many areas, and Page would respond that Apple wasn't doing enough. "We we have these billions, we should be investing to make people's lives better," Page would say. Google may already be pressing up against natural limits of what can be successfully managed by one company. The biggest companies are all within the same order of magnitude of size in terms of market cap. So far, there's no example of any company jumping ahead, above the limits of its large peers. charged with building them, but still with some help and financial support from Google. + 90 per cent of the people put their feet up, and let the robots do the work?" "90% of the people who watch my Videos are men"
"I talk about responsibilities, not rights. You cannot have one without the other. Your Rights are my Responsibilities... There's no meaning in Life without responsibility." Once a viable idea of a future is established, young men are much more motivated to carry more responsibilities which gives meaning to one's life. Psychology Professor Dr. Jordan B. Peterson explains why the Future Authoring Program works better for men who are doing worse in society. Conservatism has all-too-often found itself unable to articulate a coherent positive doctrine. By this I mean specifically that the laudable conservative tendency to preserve the best of past has too-often manifested itself in a series of "thou shalt not" statements, instead of laying out a manifesto of fundamental values that might serve to unite people around a set of common ambitions. I am attempting to rectify this problem with this statement of principles, some of which I believe might have the additional virtue of being attractive to young people, looking for mature and forthright purpose and responsibility. I spoke at Carleton Place, a town in Lanark County, Thursday, June 15/17. I was invited by Randy Hillier, who is a Member of Provincial Parliament for Ontario (randyhilliermpp.com). would really do well to THINK about these 12 Principles. the respect & meaning MUST be earned ! The RIGHTS that so many are demanding are someone else's RESPONSIBILITY. (Like double-entry accounting, you need Balance, and cannot have one side without the other. The "victims" demanding their Rights, are in fact trying to ENSLAVE others into delivering those Rights. This simply cannot work in the long term!